The ‘Esvagt Froude’ provides a fully integrated on-site solution to the offshore construction of Triton Knoll and so helps to drive down the costs. One of the world’s most advanced Service Operation Vessels will help the energy company innogy in their construction of the offshore wind farm, Triton Knoll, off the east coast of England. 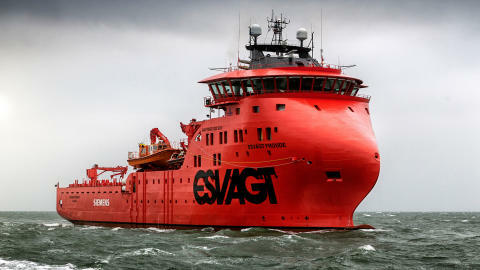 innogy and ESVAGT have entered into a contract that links the specially designed Service Operation Vessel (SOV), the ‘Esvagt Froude’, to the construction of the offshore wind farm’s 90 MHI Vestas turbines that will be built between the beginning of 2020 and the end of 2021. ‘We are really looking forward to working together with innogy and to supplying safe and efficient transportation of personnel and equipment,’ says Ib Hansen, Head of Commercial at ESVAGT. ‘Traditionally, our offshore construction was coordinated from an onshore base, but as wind farms get bigger and further from shore, we needed to do more to cut down on transit times and improve our ability to respond quickly. The ‘Esvagt Froude’ provides a fully integrated on-site solution to offshore construction and so is far more cost-effective, helping to drive down the costs,’ says Julian Garnsey. ‘We are delighted that we can extend our services and look forward to providing an innovative and quality focused contribution to a larger part of the value chain. We are proud that innogy has put their trust in us,’ says Søren Karas. 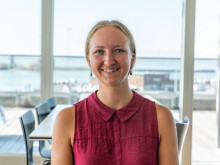 ESVAGT will also have a major presence after the construction stage of Triton Knoll: In the autumn of 2018, MHI Vestas and ESVAGT entered into a long-term contract for the servicing of the farm, and ESVAGT is currently in the process of building an SOV for that very purpose. ESVAGT’s two SOVs have been named after two of English industrial history’s notable personalities. Both men also had a connection with the Siemens brothers.